Here’s what I’ve done with some of that feed barley I malted a little while ago. I know an I.P.A. is not the best beer to judge malt quality, the hops mask a lot of the malt character but I felt like drinking an I.P.A. so I made one, so don’t judge! It’s super tasty, I’m loving these Galaxy hops. I also dry-hopped with Mosaic. There’s a dose of peach up front followed by some citrus and ending with a strong piney bitterness that reminds you that you’re drinking beer, not sangria. It has a nicely rounded mouth feel and as you can see in the picture a creamy head that likes to linger. O.G. was 1.059 F.G. 1.013 According to Beer Tools my efficiency was 80% What was also surprising is that I had full conversion in one hour. Being more patient than I used to be with the germination and waiting until it’s really well modified has obviously helped in developing the enzymes in the malt. If there is a possible flaw it has to do with a faint hint of phenolic flavour that I detected in the last beer I had which would be pretty disappointing. I can barely taste it so I don’t really care but I’ve sent this one off to be judged at the local competition, so we’ll see what the judges say about it in a few weeks. The possible source may be my water. I tried using tap water treated with half a campden tablet overnight. This is the first time I’ve tried this. Has anybody else experienced an issue with this method? 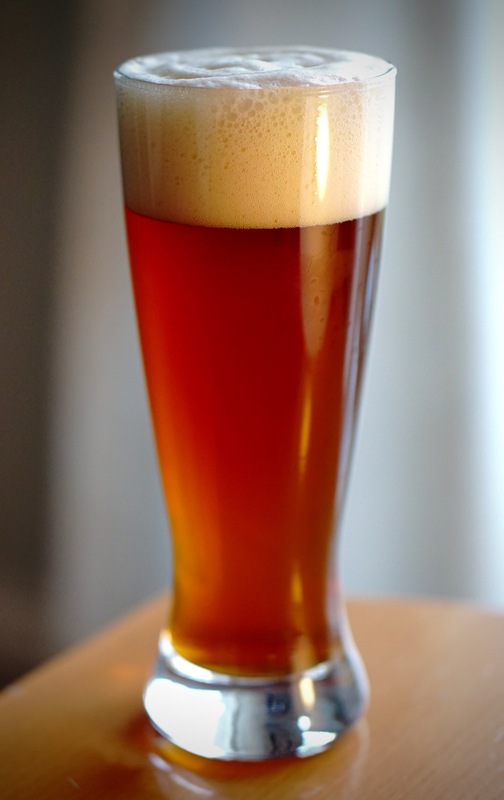 Update: I just brewed with 11lbs of this malt and achieved full conversion in one hour, with 80% efficiency, not bad! I brewed an IPA with Galaxy hops, I’ll let you know how it turns out. I get a lot of questions about feed barley. Basically I wouldn’t recommend it, (see older post) but here I am malting 44lbs of the stuff all at once. Feed barley, what to expect. The first time I tried malting at home I used a bag of barley I bought from an animal feed store. 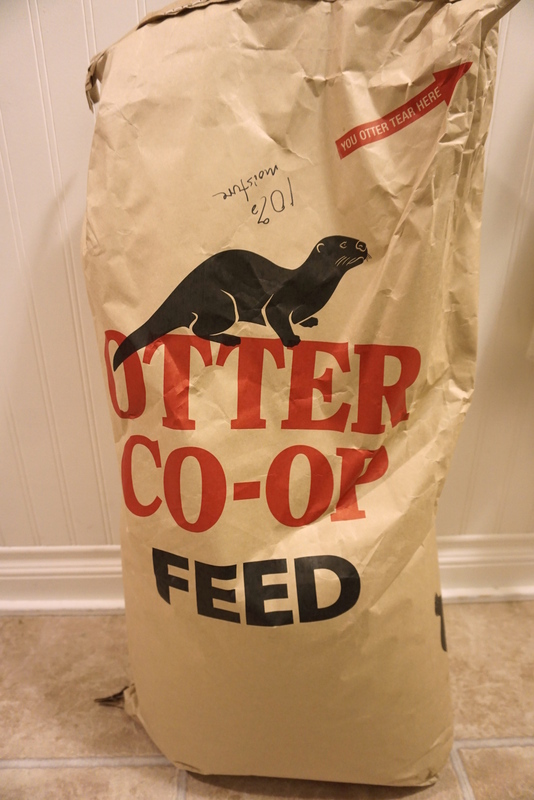 I bought their last bag which looked really old but I was just too excited to try malting with it to care. Unfortunately when I first soaked it the water turned dark grey. It was so dirty and full of nasty bits of what looked like mouse turds I ended up throwing it out. I only paid 10 bucks for that 50 lb bag so not a major loss but still it was pretty disappointing. Since I’m running out of last years homegrown barley I thought I’d give feed barley another try. Using feed barley seems kind of hit and miss. It’s super cheap and if you’re not growing it yourself it may be your only option but it’s worth it to find a good quality feed barley. 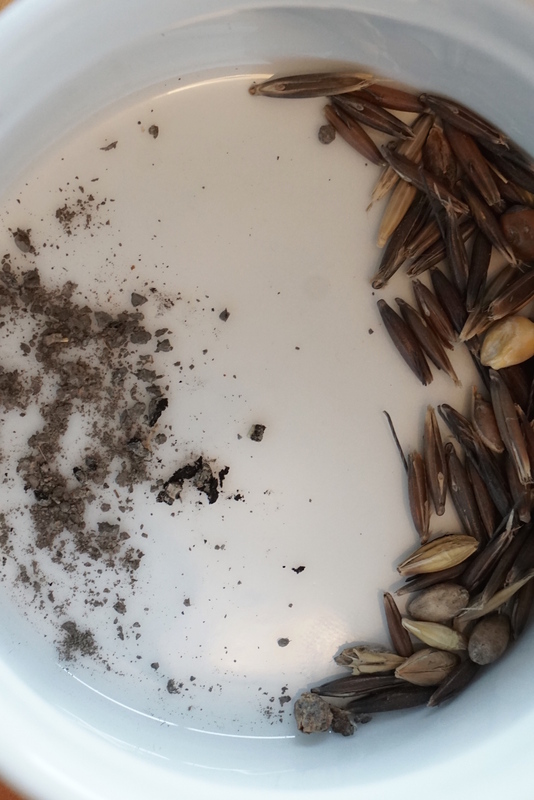 I’ve talked to people who have a good supplier of clean barley but most often you’re likely to get barley that includes some “extras” including weed seeds. My advice: wash, wash and wash some more. I rinsed this latest batch 10 times before the water was running clear. I bought the new bag from a different store and it’s definitely not as dirty as the first but it still contained a lot of what I thought were pebbles, turns out they’re actually small dried clumps of dirt, see the pictures below. 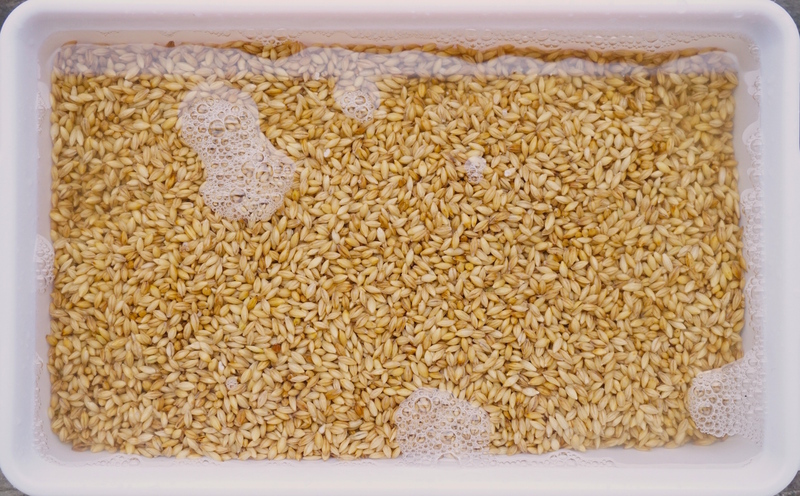 The difference between malting barley and feed barley is that the strains of barley classified as malting barleys have certain genetic qualities that are better for brewing like lower protein and beta glucan amounts as well as higher enzyme levels. 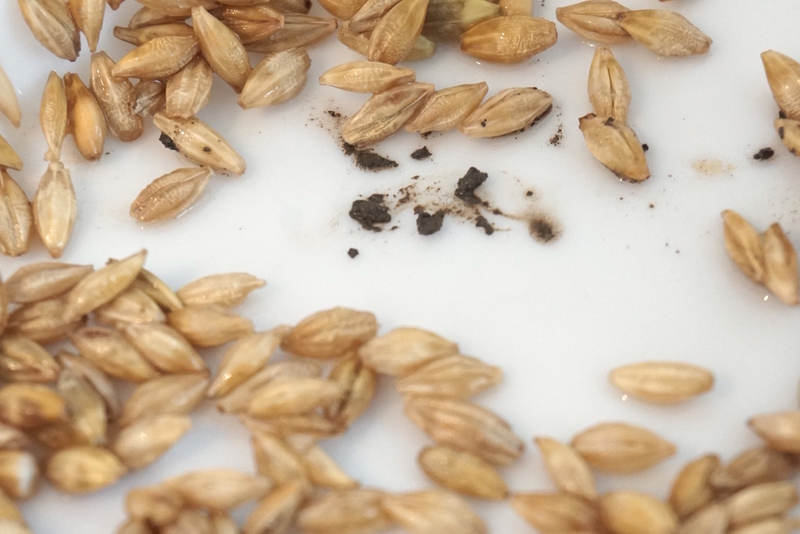 Here’s a list of other factors that make a good quality malting barley. For feed barley expect the opposite. These requirements will affect both the malting and brewing processes, as well as the quality of the end-product, beer. Here’s something I got off the Ontario ministry of Agriculture website, what’s especially interesting is the last sentence. DON, also known as vomitoxin, was the principle mycotoxin found in Ontario wheat samples in the 2000 harvest year. Its effects on horses have not been well documented. It is also called vomitoxin because it induces vomiting in pigs and dogs after ingestion of contaminated material. In various livestock species, vomitoxin will cause feed refusal, decreased weight gains, signs of gastrointestinal irritation (e.g., diarrhea, colic, rectal prolapse, and rectal bleeding), reproductive problems, skin irritation, cardiotoxicity and interference with the immune system. In mice, ingestion of DON may cause the overproduction of IgA immunoglobulins in the intestines. IgA accumulates in the kidneys and results in glomerulonephritis (kidney failure). The maximum acceptable concentration of DON in wheat intended for human consumption in flour is 1 ppm. Wheat with a concentration greater than 1 ppm will be diverted for livestock feed. Just thought I’d throw that in there to cause some panic. We’ll see in a few days what kind of germination rate this barley has. 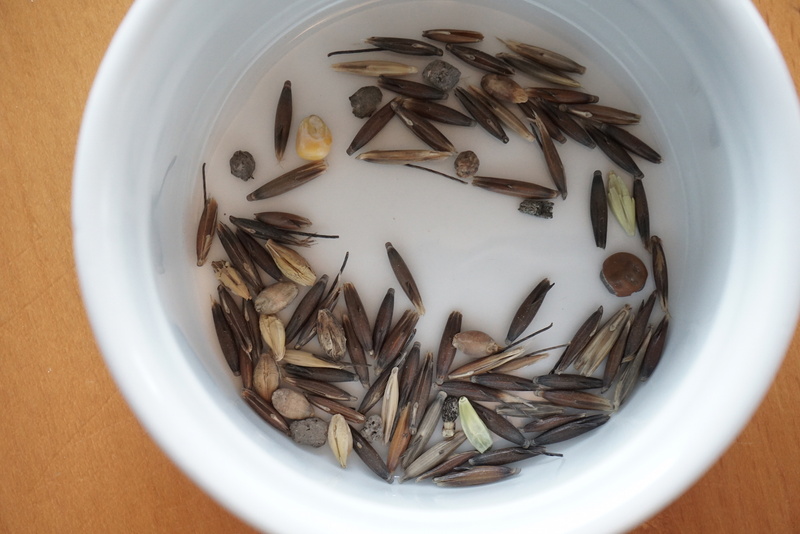 Update: After taking quite a few random samples I’ve determined that this barley has a germination rate of 80%. That’s pretty low compared to the 95% or higher expected from malting barley. 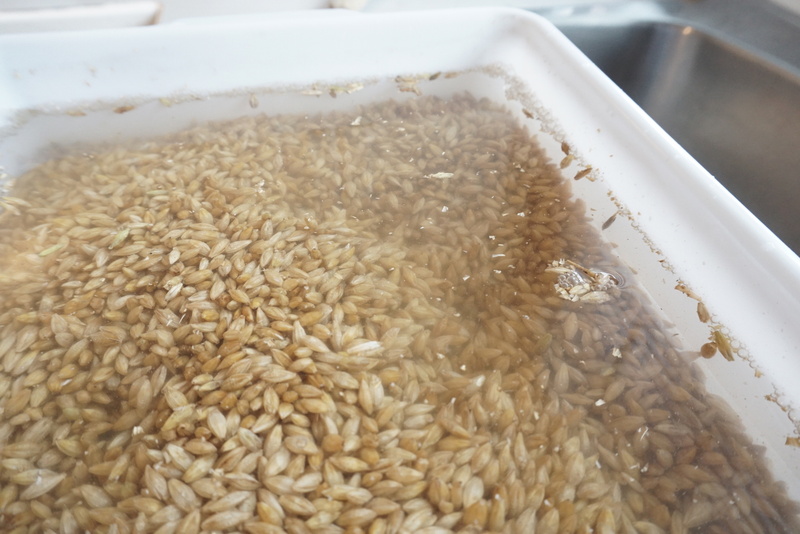 It’ll be interesting to find out how those un-malted grains will affect the beer. I’ve been trying to pick out any rotten ones when I see them. After the second rinse, ew. Also after the second rinse, even more ew!